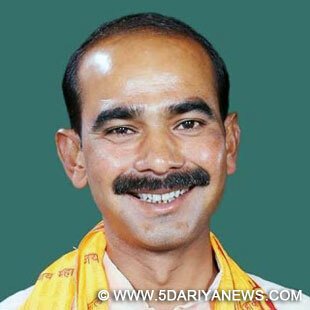 Ajay Tamta, the new Minister of State, Textiles is a Lok Sabha MP from Almora constituency, Uttarakhand, and a member of the Bharatiya Janata Party. Prior to his election to the 16th Lok Sabha, Shri Tamta has served as a member of the Uttarakhand Legislative Assembly, from 2007 to 2012 and again from 2012 to 2014. He has also served as a Minister in the Government of Uttarakhand, as Cabinet Minister during 2008 – 2009 and as MoS during 2007 – 2008. As a parliamentarian, Shri Tamta has been a member of the Committee on Welfare of Scheduled Castes and Scheduled Tribes since August 2014, and a member of Standing Committee on Human Resource Development and of Consultative Committee, Ministry of Water Resources, River Development and Ganga Rejuvenation since September 2014. The new Minister holds an Intermediate Qualification in Science. He has a deep interest in the rich variety of geographical landscapes, with a particular fascination for the mountainous region, which he believes has tremendous potential for mining, growing medicinal plants and promoting tourism. As such, he has been rendering his contribution through social service for the development of the region.Shri Tamta will be turning 44 years of age this month. He is married to Smt. Sonal Tamta and has one daughter. He resides in Dr. B.D. Marg, New Delhi, and can be reached at the email address ajay.tamta@sansad.nic.in.